Aperture is one of the most significant camera settings of all. Changing the aperture can change so much of a photograph. Here is everything you need to know about aperture in 6 easy tips. Aperture is one part of the exposure triangle. When you change the aperture, it also effects the ISO and shutter speed, which might need to be adjusted as well. Keep these tips in mind when considering aperture. The aperture controls how much light enters the camera, and ultimately, your photograph. The aperture acts similar to the pupil of an eye. You will want to widen or narrow the aperture, based on what type of shot you are trying to take. Aperture can effect a few things in your photograph, including exposure. Making the aperture smaller or larger will effect how much light is getting into the photograph. The larger the aperture, the brighter the image, for example. The depth of field can also be effected by the aperture. The depth of field is how sharp the entire image turns out. A shallow depth of field is where the background is not in focus. A deep depth of field is where the entire photograph is in focus. The aperture is also known as an f-stop. 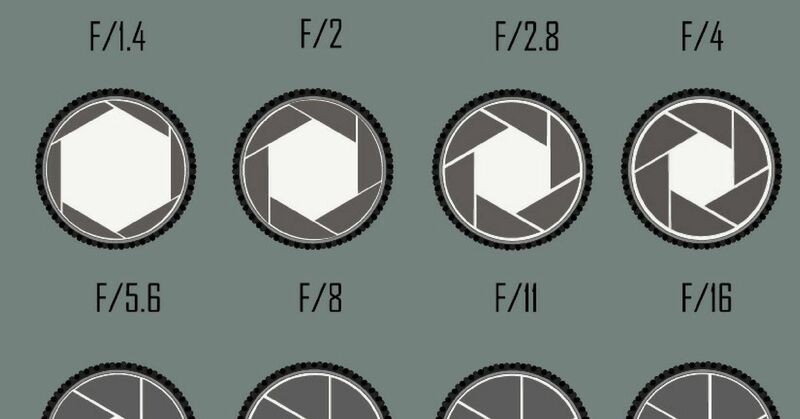 The f numbers will appear on your camera's screen or viewfinder, such as f/10. The smaller the number is on the f-stop, the wider the aperture is open, and vise-versa. The aperture is a fraction of a number, which is why larger apertures go with smaller f-stops. The aperture will effect the brightness of a photo, so counting on what type of photography you want to take, a larger aperture will result in a brighter picture. This is great when the lighting is dim or dark and you want to brighten up the scene. If you happen to be taking shots during midday, the scenes may be too bright, so you will want to use a smaller aperture. To achieve a larger depth of field in a shot, you will also want to use a smaller aperture. Don't forget to adjust the shutter speed and exposure to achieve the best pictures possible.